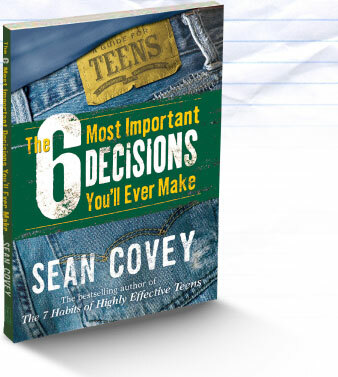 Using real stories from teens around the world, author Sean Covey covers the tough challenges teens face on a daily basis. With the help of teens from all over the world, Sean provides advice on how to make wise and informed decisions. The book focuses on six key decisions that can make or break a teen’s future.